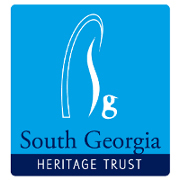 At the South Georgia Heritage Trust (SGHT) we are committed to protecting your personal information and not using it in any way that you wouldn’t reasonably expect. This privacy notice explains what personal information we collect about you, how and why we use it, who we share it with and how we protect your privacy and the legal basis for processing it. When using the term “personal information” in our Privacy Notice, we mean information that relates to you and allows us to identify you, either directly or in combination with other information that we may hold. We collect some personal information from you, for example, when you make a donation, use our online shop, sign up to receive our news and updates, or contact us directly. The personal information we collect might include your name, address, email address, telephone number, and information regarding what web pages are accessed and when. 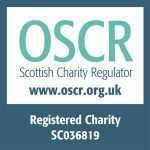 If you make a donation online, or purchase a product from us, your card information is not held by us. It is collected by third party payment processors, who specialise in the secure online capture and processing of credit/debit card transactions. If you have any questions regarding secure transactions, please contact us at info@sght.org. All donor information is stored within Donor Perfect UK, an industry standard Constituent Relationship Management (CRM) platform. Our legal basis for processing this information is “legitimate interest” whilst a person is an active donor. We are legally obliged to retain donor information for a period of years before it is destroyed in a secure way. When donations are made using the paper SGHT donor form, all payment details are removed and securely destroyed once the transaction has been completed. The data is only used again if the person provided consent through a positive “opt-in” to receive news and updates from SGHT. See our E-newsletter section below. When someone visits www.sght.org we use third party services such as Google Analytics to collect standard internet log information and details of visitor behaviour patterns. We do this to find out things such as the number of visitors to the various parts of the site. This information is processed in a way which does not identify anyone. We use a third party provider, Constant Contact, to deliver our e-newsletters. It gathers statistics around email opening and clicks using industry standard technologies, including clear gifs, to help us monitor and improve our e-newsletter. To provide these newsletters, we request contact details, including but not limited to, your name, email address and country. We only collect this data when we have your consent and retain it securely on our database. We store this data for a proportionate time after your last communication with SGHT, unless you withdraw consent. If you withdraw consent it will be deleted securely. For more information, please see the Constant Contact privacy notice. We may email you regarding a donation or in response a request you have made. Occasionally we may send you a greeting or information by post. Our legal basis for processing this data is legitimate interest. You may opt-out of this process at any time by contacting us on the information below. To help protect your personal information, we maintain physical, technical and administrative safeguards. We update and test our security technology on an ongoing basis. We restrict access to your personal data to those employees who need to know that information in order to provide benefits or services to you. In addition, we instruct our employees about the importance of confidentiality and maintaining the privacy and security of your information. When you give us personal information, we take steps to ensure that it is treated securely. Your contact information is not shared with any party other than our US affiliate Friends of South Georgia Island (fosgi.org) with whom we share database and e-newsletter resources. To make a request to SGHT for any personal information we may hold you need to put the request in writing to the address provided below or by email to info@sght.org. If we have good cause to doubt the requester’s identity we will ask them to provide any evidence we reasonably need to confirm it.